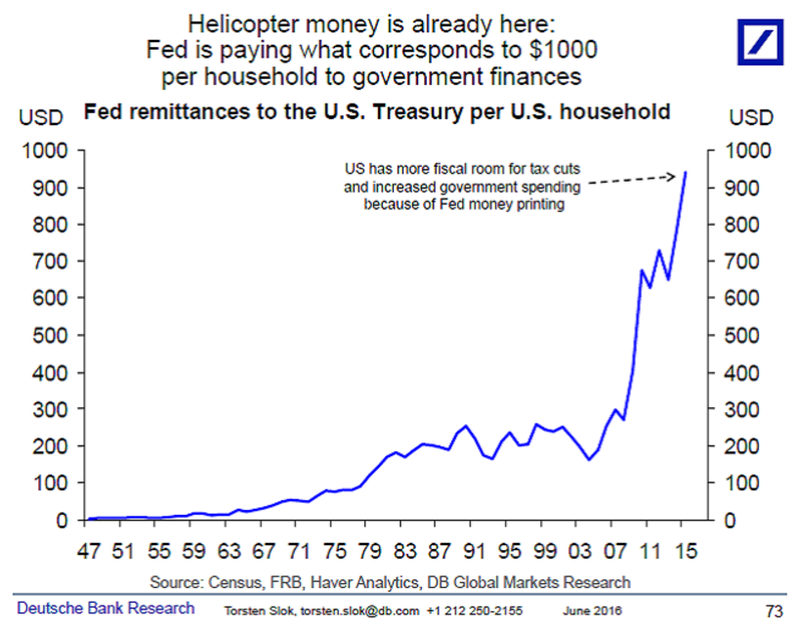 "Helicopter money," the process of printing money to fund government deficits, is the radical last refuge of a desperate central bank. Ben Bernanke and other academics and central planners have discussed it ad nauseum in theory, but it's never been actually tried in a major modern economy. Except is has. And is. 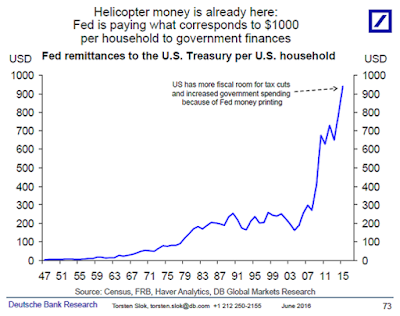 But Torsten Slok, Deutsche Bank’s chief international economist, argues that the Fed has been employing measures similar to helicopter money via its remittances to the Treasury. 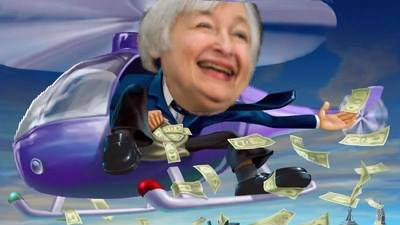 “The Fed in 2015 paid the U.S. Treasury $117 billion and dividing that by the total number of households (125 million) shows that the Fed is already giving money to U.S. consumers,” he said in a note on Tuesday. 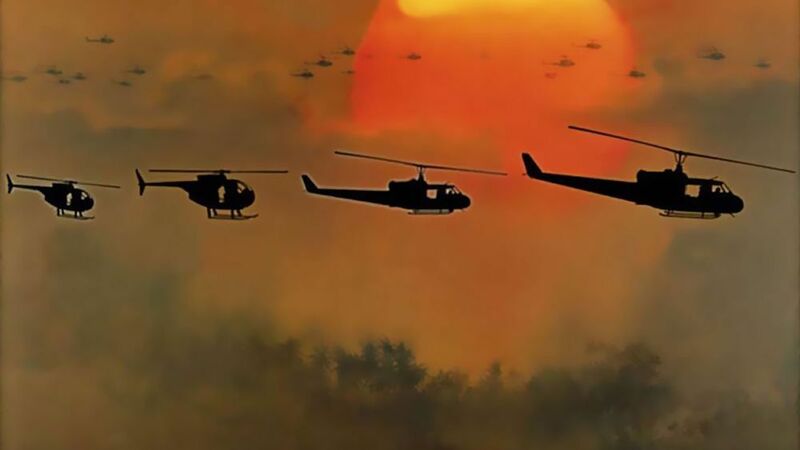 That comes out to each U.S. household receiving about $1,000 from the government and equivalent to a 2% tax relief for households falling in the $50,000 median-income bracket, according to Slok.